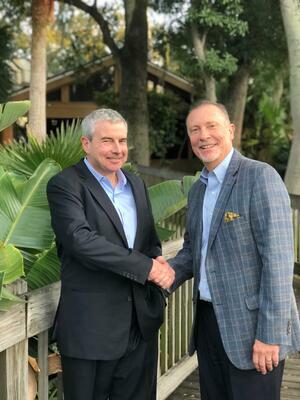 TAMPA, Fla. – IT Authorities, a national provider of cloud, SAP Functional support, and IT management services, announced on Thursday, November 29, 2018 the formation of a new strategic partnership with Spring Global, a leading provider of mobile field management solutions for the consumer packaged goods (CPG) industry. The strategic agreement will enable IT Authorities to market and sell Spring’s field management solutions, which align with the company’s overall strategic direction of expanding further into the CPG industry. The combined solutions provide manufacturers and distributors within the CPG industry mobile applications to support sales, merchandising, distribution and direct-to-store delivery (DSD). With IT Authorities’ strengths encompassing the provision of end-user support, implementation, technical monitoring and cyber-security protection, the company can now further enhance its market offering to be a pure-play total solution provider to the beer distribution market and other CPG businesses. The partnership also expands Spring’s market reach into mid-sized enterprises and allows the company to leverage the technical experience of IT Authorities across its entire customer base. Spring Global helps companies worldwide optimize their business processes, increase real-time productivity and improve customer interactions in ways that maximize revenue and ROI. With several global offices and a strong market presence across the world, Spring Global is capable of supporting international growth with solutions that can be deployed across a diverse segment of multi-national markets. The company also assists regional and national CPG companies maximize their revenue with the same analysis tools that major enterprises are using. IT Authorities, a world-class Managed Service Provider (MSP) based in Tampa, Florida, was founded in 2006. The company provides managed services including Enterprise Help Desk, Mission Critical Support Services, Cloud Services, and SAP Function Support to its clients. IT Authorities is passionate about helping businesses increase profit, improve productivity, and function with peace-of-mind, being assured that their IT systems are in the most reliable and secure state, and their people are being taken care of in a world-class manner. For media-related inquiries regarding IT Authorities, please contact our PR firm at 813.279.8335 or by email at news@judgepr.com. Spring Global (www.springglobal.com) provides field management solutions to support sales, merchandising, distribution and direct-to-store delivery (DSD) in the CPG industry. Many customers are food and beverage suppliers that rely on various combinations of company and outside personnel to service individual store locations. Spring is uniquely positioned as a leader in engineering excellence among competitors and is actively innovating with demands for artificial intelligence (AI) and omni-channel capabilities.